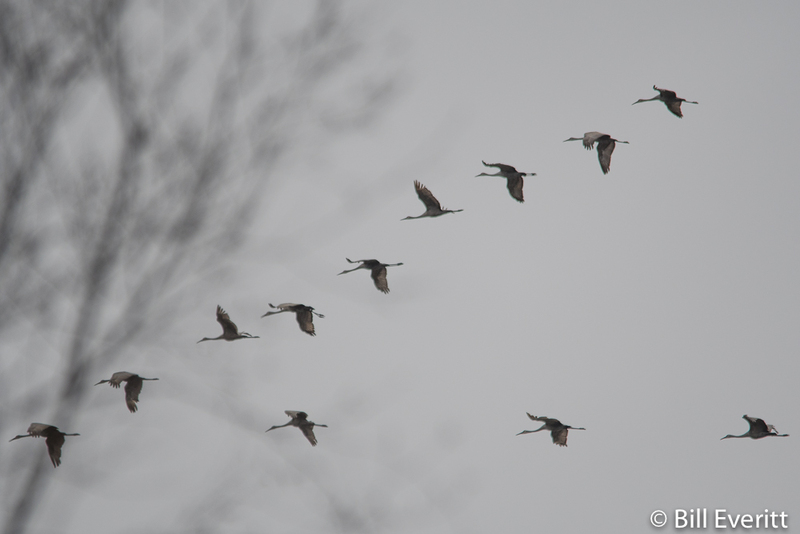 At 3:30 this afternoon 200+ Sandhill Cranes flew directly over Peachtree Park, calling all the while. Although it was overcast, they were low enough for clear viewing. It’s very early, but birders think they are already migrating north. Such a treat to see them! This entry was posted in Bird Migration and tagged Sandhill Cranes on February 11, 2017 by beveritt. Thank you! It was a mostly a matter of being in the right place at the right time. Pretty darn exciting for us – wish you could have seen it too. There were 10 or 12 groups and it seemed that they just kept coming. Their calls are very distinctive and we love hearing them.